As part of the Executive Issue special section in the May/June edition of the Auto Remarketing Canada magazine, we connected with Robert Lewocz, vice president of national sales at TRADER Corp.and autoTRADER.ca. The emailed Q&A covers the potential for 100-percent online auto retail in Canada, the online shopping experience, TRADER's road map for 2017 and more. Auto Remarketing Canada: One of the biggest pieces of news out of TRADER Corp. this year has been the digital retail partnership with Dealertrack Canada. How close are Canadians to being able to buy a car 100 percent online? Robert Lewocz: We’re closer than you think. Today’s digital consumer is more empowered and informed than ever before, and connected car buying technologies are simplifying the entire car-buying process. Long gone are the days where consumers would travel from dealership to dealership in search of their ideal vehicle. Today, all of the upfront considerations happen digitally. The partnership forged between TRADER and Dealertrack facilitates this process even further. We’re essentially bridging the gap between the online and in-store consumer experience. As a car shopper, I can find my ideal vehicle and arrange for all the particulars — like financing and trade-in value — all from the comfort of my living room. As a result, when I visit the dealership, the purchase process is far more efficient. I’ve done all my research, I know exactly what I want, and I’m there to pick up my new vehicle. Now that’s an accelerated and efficient car-buying experience. ARC: Along those same lines, where does TRADER fit into the “ecosystem” of online vehicle retail? RL: Most Canadian car buying journeys involve autoTRADER.ca at some point. That’s because we make the experience simple for consumers. The ideal car-shopping experience for consumers includes a wide variety of tools, selection, volume and choice — which autoTRADER.ca delivers. We give consumers what they need to help them move through the three stages of the consumer journey with ease and confidence. We offer tools to help consumers understand what’s out there; we offer a wide selection of makes, models and body styles; we offer a large volume and continuous supply of listings; and we offer the choice between new or used. Bottom line, we’re a vehicle education platform for consumers. 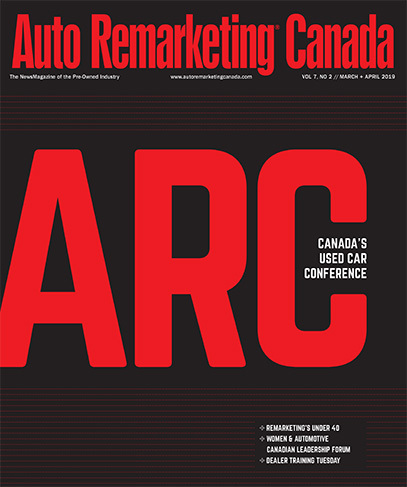 ARC: TRADER had a big presence at the recent Auto Remarketing Canada Conference, including a presentation from Kevin Coombs about “3 Key Truths About Reaching and Influencing Automotive Shoppers.” Which of those three truths is most important to today’s auto market? RL: In my opinion, Truth No. 2 —Online Experience is the tipping point to Action — is perhaps most relevant to today’s auto market. Let’s face it, we know that consumers start their car-shopping journey online and on marketplaces. They are using online sources to help them understand what features and functions they want from their new car, and to conduct more in-depth analysis to completely understand and evaluate what they really need. That online experience not only needs to be informative and engaging, but must also be honest and relevant to the process of buying a vehicle. ARC: What’s next for TRADER? Where might your road map take you in 2017? RL: 2017 promises to be an exciting year for TRADER. We’ll continue to innovate and offer value to both consumers and dealers, with the goal of helping Canadians make the most informed vehicle decision possible. One of our focus areas will be consumer transparency. As part of the next phase of our autoTRADER iQ initiative, we will be giving car shoppers access to even more pricing transparency tools to help build trust with consumers. This includes new price transparency icons on autoTRADER.ca that are displayed on vehicles with Good and Great prices, as well as CARPROOF badges on used-vehicle listings with no reported accidents and/or one owner. This also includes a new consumer-centric price guidance tool that allows car shoppers to calculate the average price range of their vehicles — whether they’re buying, selling or trading in. We will also be announcing two new partnerships in the coming months that will benefit the automotive industry at large. Stay tuned for more information.